Our texts will be literary and scientific. 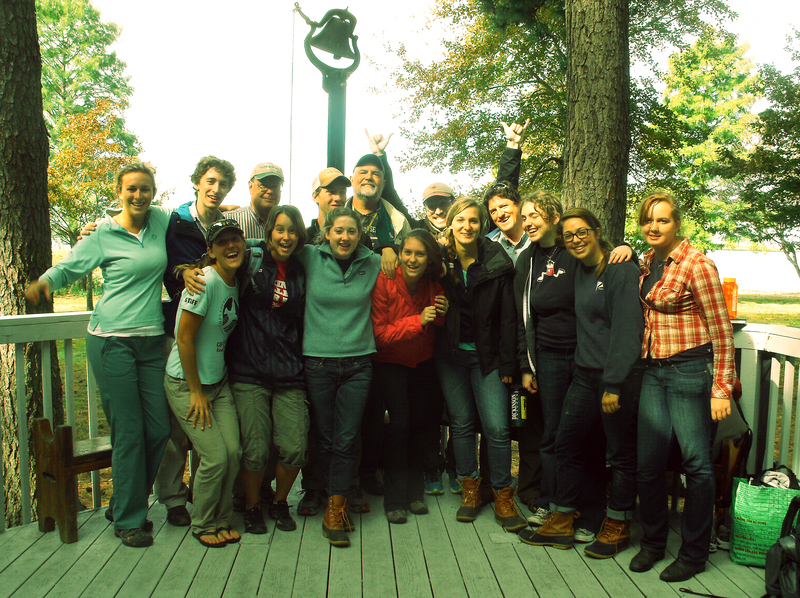 Our contexts will be environmental, ethical, and ecological. We will work to answer a series of questions about the relationship between the natural world and human beings who have defined and affected that world since 1800. Are humans just a part of the natural environment? Are we distinct from nature? Is nature beautiful and benign (sunsets, daffodils, puffins) or ugly and destructive (hurricanes, AIDS, death)? 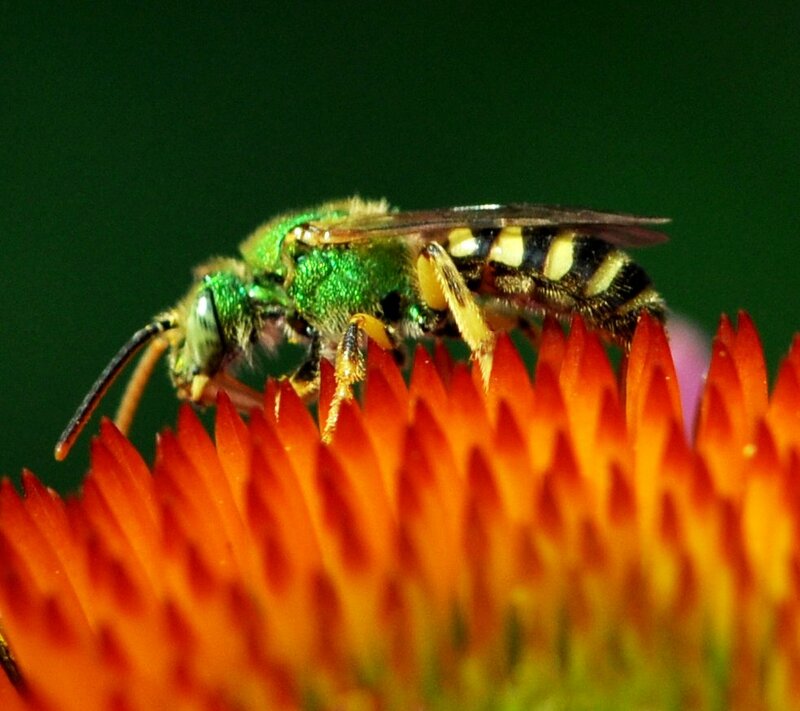 How and why should we preserve nature? Why is climate change considered the major challenge facing the modern world? We will understand how literary texts reflect the context of the times in which they were produced and also the times in which they have been received by readers. Our guides will include novelists, essayists, and ourselves. We will examine the current importance (as well as the controversial aspects) of evolutionary ideas, and we will emphasize the role played by literature in the development of our own environmental assumptions and values. 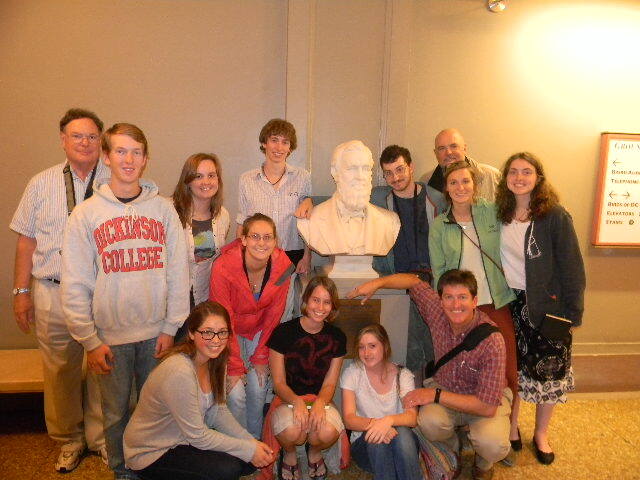 5 M John Burroughs, Gifford Pinchot 145-180—Mark Ruffalo & Ramsay Adams to class [YouTube: 1) Mark Ruffalo speaks out against fracking PBS & 2) Mark Ruffalo Speech at Dickinson College 2015 Commencement, & 3) Ruffalo Dickinson Interview] Be ready with questions after Mark and Ramsay’s presentation. 1) Are human beings just the mere result of random evolutionary processes over time? Is that all they are? 2)“Be fruitful and multiply.”–Is that a good idea? Is that a waste? 3) Is AIDS natural? Is spinal bifida? Is death? Is nature “good”? 4) Does evolution necessarily conflict with the religious teachings of Christianity? Can the two viewpoints–religious and scientific–be reconciled? 5) Nature doesn’t care less about you or me? Or does it? III. The earth and life on earth have existed for an inconceivably long time. Laws of nature subject to change because material conditions governing laws change. There are no “ideals” in nature or natural form. Doubts about the Biblical account of human origins and fate emerge. 1.) human neural processes evolved by the same means as all organic life. 2.) the human mind is thus the dynamic result of constant evolutionary change. 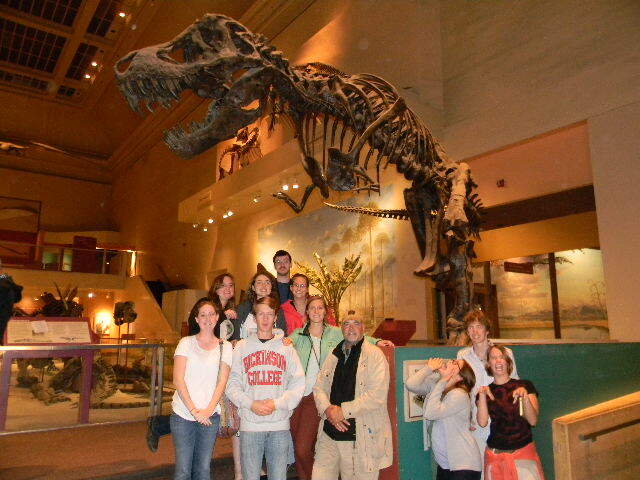 The group gathers beneath Tyrannosaurus rex, one of the largest terrestrial predators in the history of life on earth. 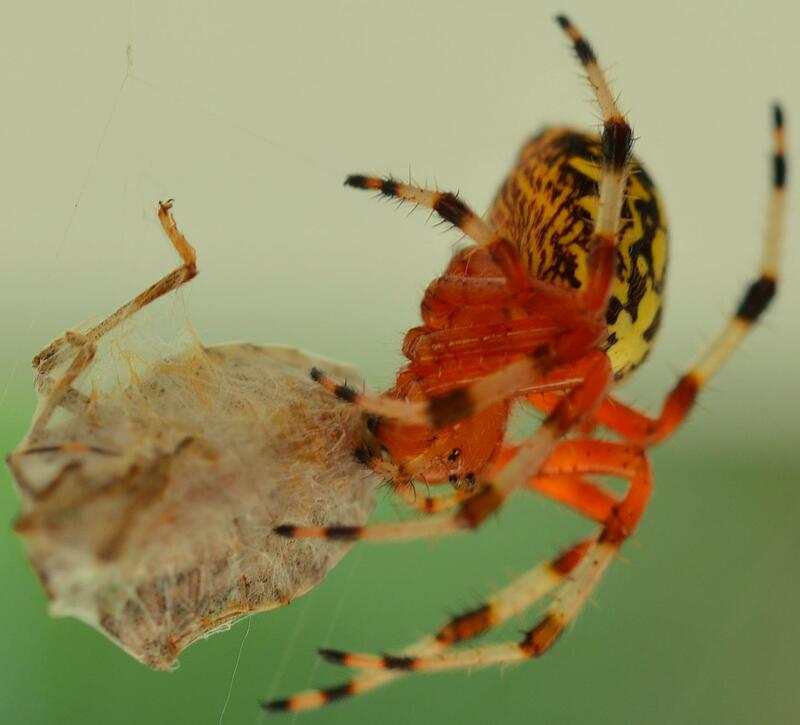 He seems to have been able to eat up to 500 pounds of food in a single bite. Harrison, Ralph. 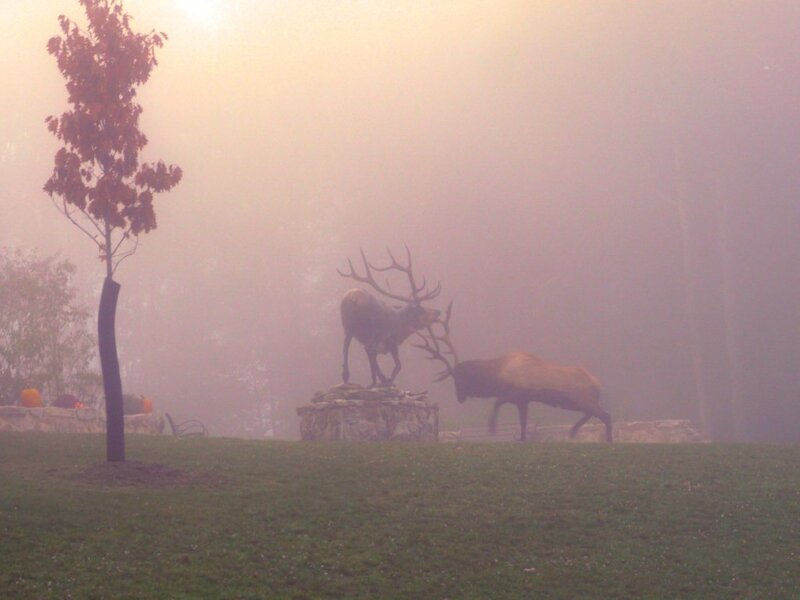 The Elk of Pennsylvania. Leopold, Also. A Sand County Almanac. Your last name, first name. Natural History Field Notebook. 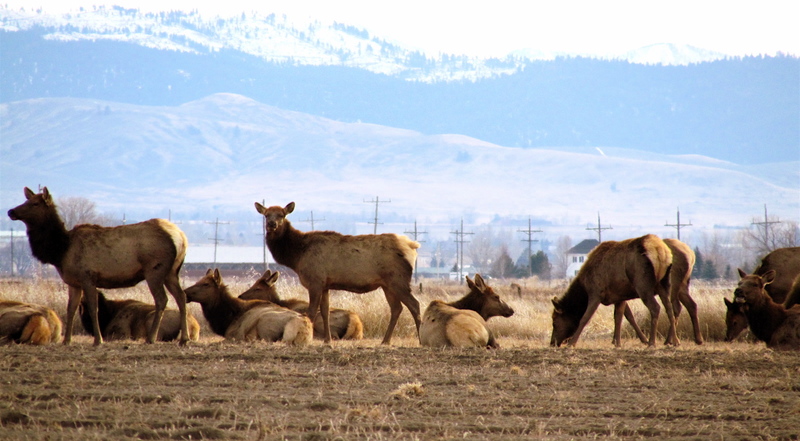 Are “wild” animals different when seen in sight of human habitation? This course is designed to improve your skills as a writer of expository prose by emphasizing the genre of natural history writing. We will concentrate on a variety of writing problems and techniques, emphasizing specific skills necessary to a wide range of writing tasks: description, summary, narration, argumentation, analysis, and interpretation. In all cases, our focus will be on the natural world, natural history, and human connections to that world. 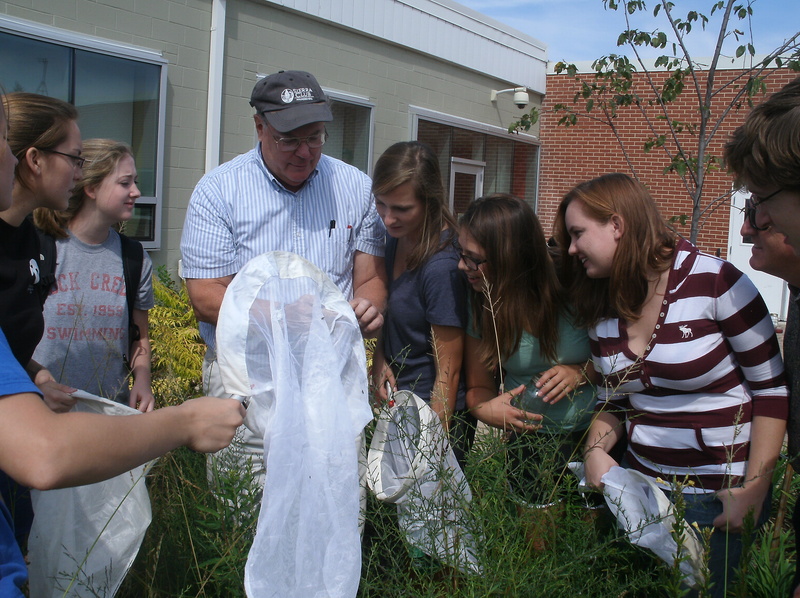 Our numerous field trips to museums and field experiences in the wilds of Pennsylvania will form the basis of much of our writing. 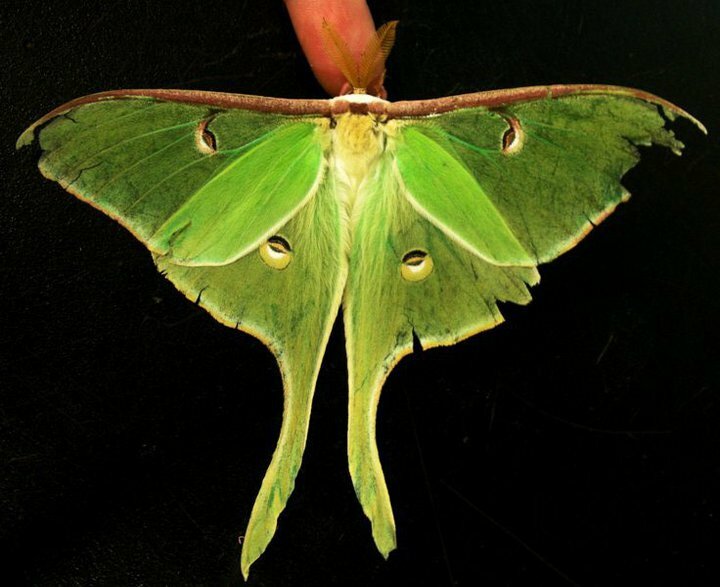 You will keep your own natural history journal that begins today and ends on the final day of classes, when it will be handed in; this journal will record, analyze, and otherwise create an experiential and intellectual document of your experiences with the nonhuman world during our entire semester. So, some of your writing will take place in the field or near the field, some more of it in the library or at your desk. Discussions of essay reading assignments will be supplemented by group workshop sessions and individual tutorials. 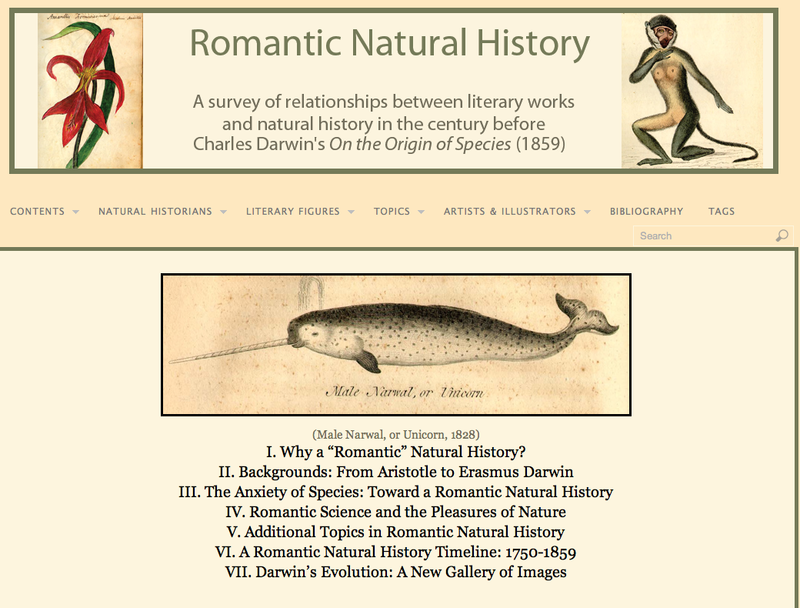 Students will have the opportunity to critique one another’s work and to compare their essays to works by natural history writers of the past and present. The course aims to concentrate your attention on the precise stylistic details that lead to effective writing. Why is it that human beings like to preserve and present dead animal bodies “as if” they were alive? 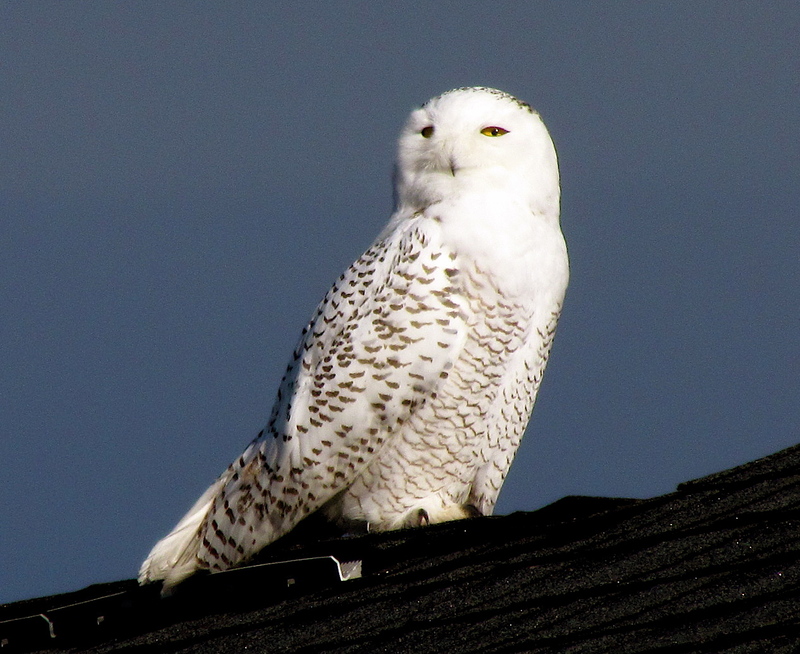 Certain wild creatures, like the iconic snowy owl from Harry Potter, become powerful cultural symbols for entire generations. Professor Nichols saw seven (7!) of these remarkable birds in a rare “eruption” near the Flathead Indian reservation in Western Montana, far from their usual range nearer the Arctic. 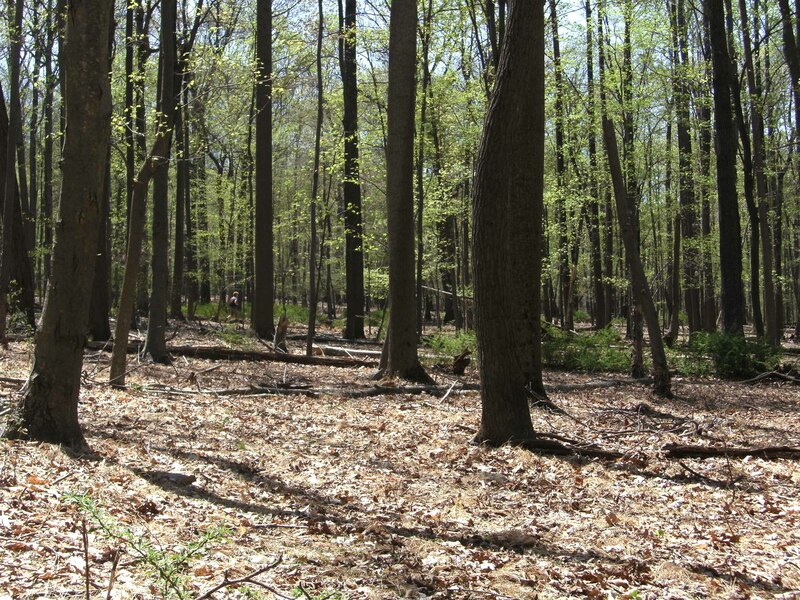 28 Tu Syllabus and in-class writing exercise: what is “nature”? 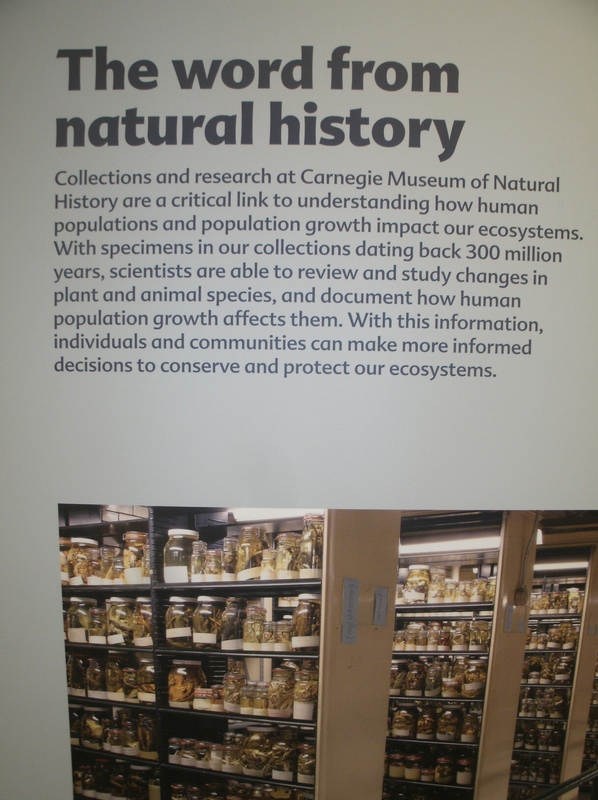 what is “natural history”? 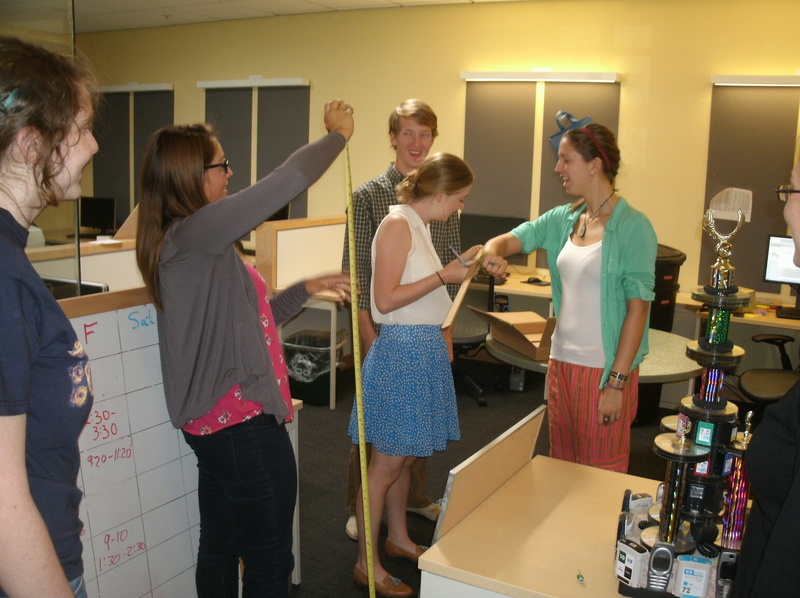 Students measure forearms and heights in order to compare Homo sapiens with other creatures to whom we are related: those with a spine and with a radius and an ulna (or comparable bones). 30 Th Essay #1 due (a natural object: assignment sheet attached). Provisional grade is dropped if it goes up on September 14 version (see below). September 4 Tu Aldo Leopold, Sand County Almanac. xiii-xix, pp. 3-137. What is good nature writing? 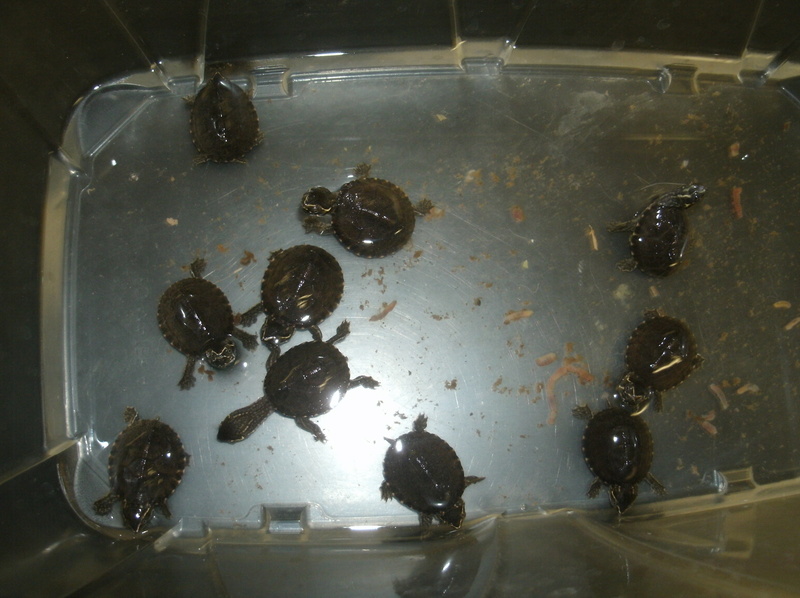 Recently hatched stinkpot turtles (coincidentally, one for each student) will soon be released back into a pond in the “wilds” of Wildwood in Central Pennsylvania. 14 Th Essay #1 revised (a natural object). Hand in for a final grade. Workshop. 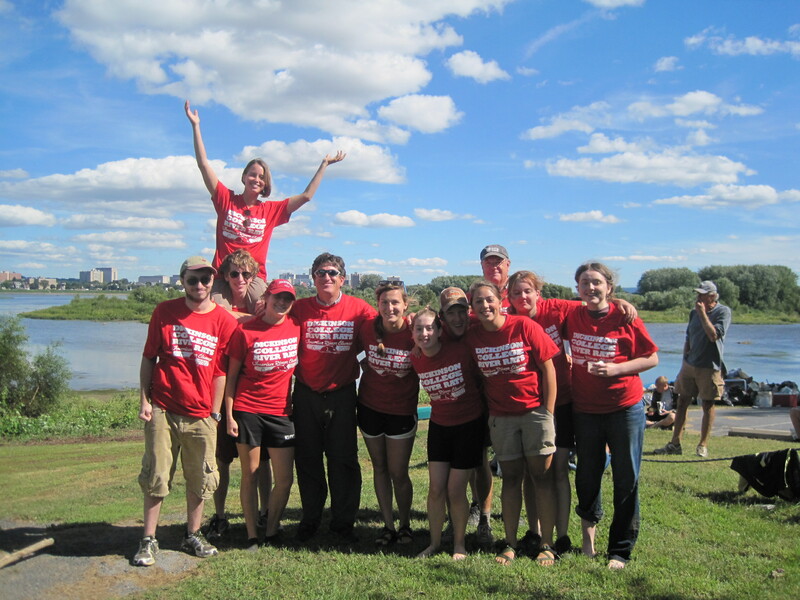 Mosaic students on the Susquehanna clean-up with the local chapter of the Sierra Club. 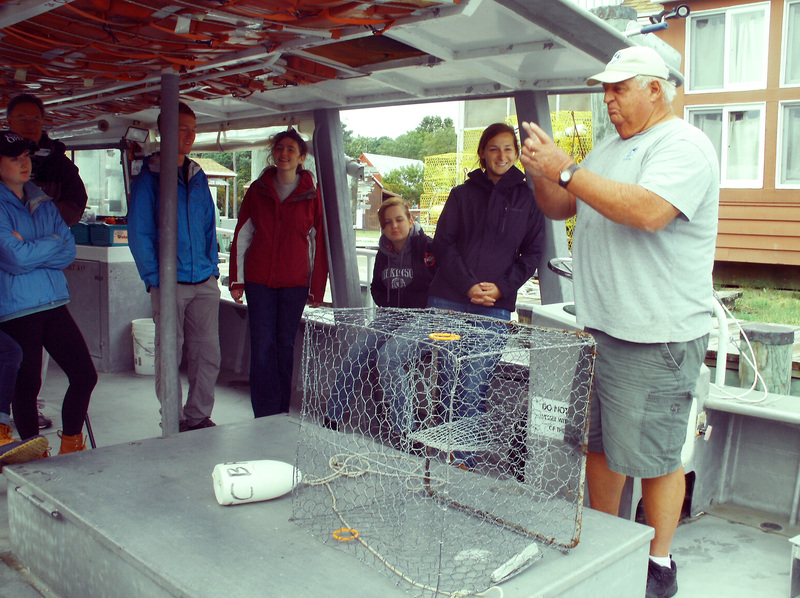 Captain Wes, after decades as a waterman on the Bay (out of Smith Island), shows the students the intricacies of the crab-pot, before baiting and setting. 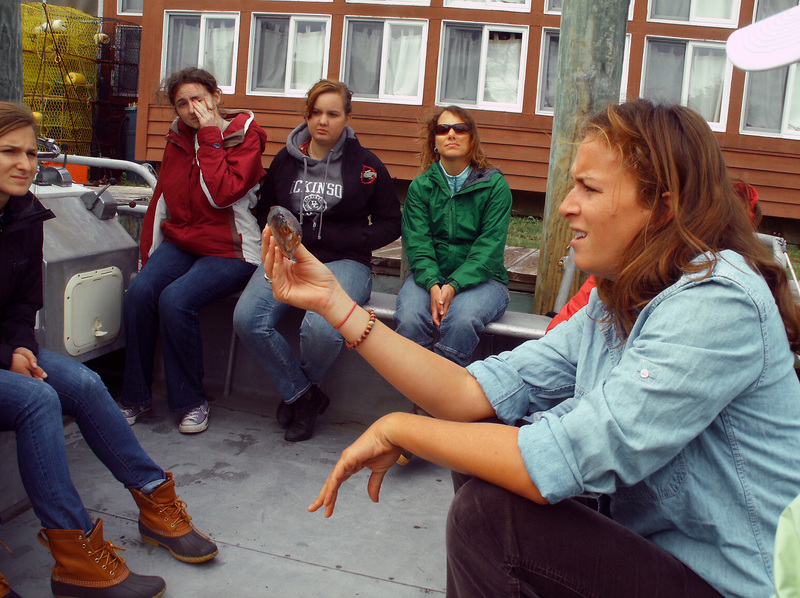 Paige Sanford of the Chesapeake Bay Foundation (CBF) discusses the fish menhaden’s remarkable adaptations: mouth size, eye-spot, v-tail, and more. 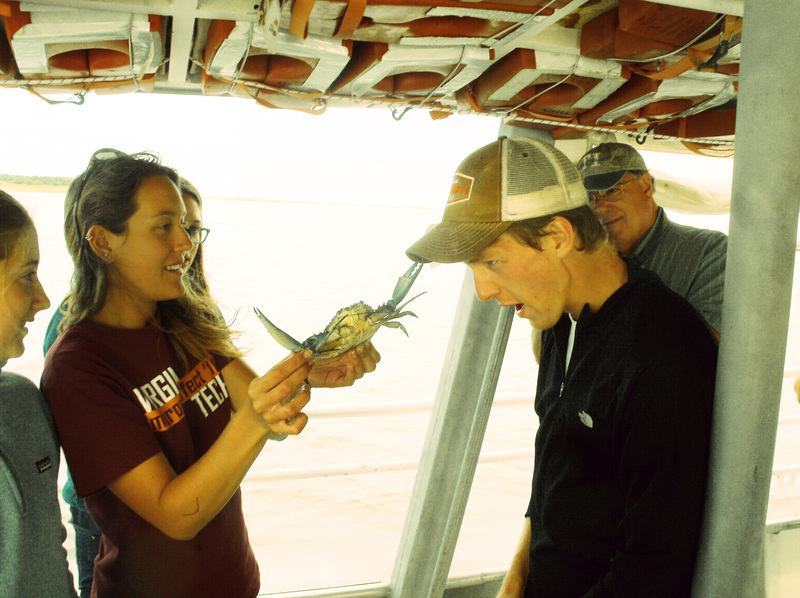 A dubious student receives a “crab-hat,” thanks to vigorous grabbing by the Chesapeake Bay blue crab; Professor Wingert looks on with concern. 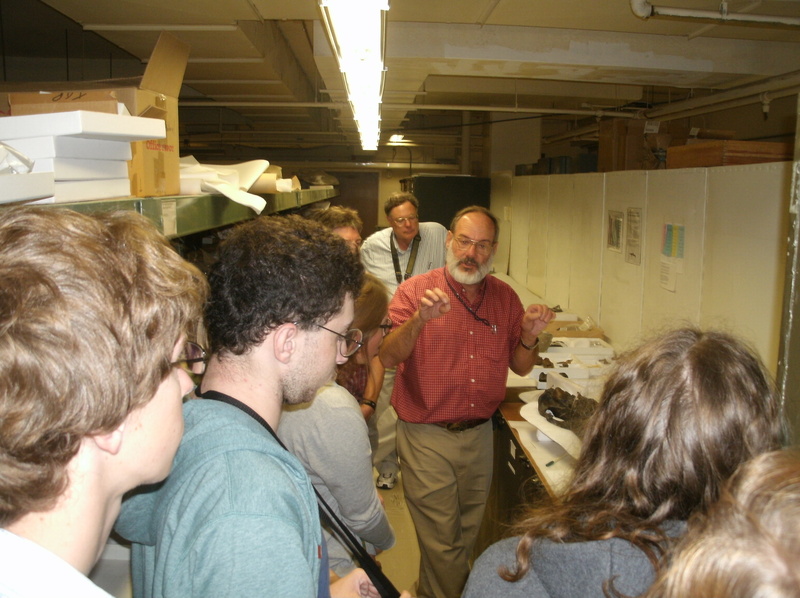 Students have the rare experience of a behind-the-scenes tour with David Bohaska in the Vertebrate Paleontology department at the Smithsonian; they were treated to an up-close-and-personal tour of T. rex, Triceratops, Apatosaurus fossils, and many others in the deep basement of the museum. 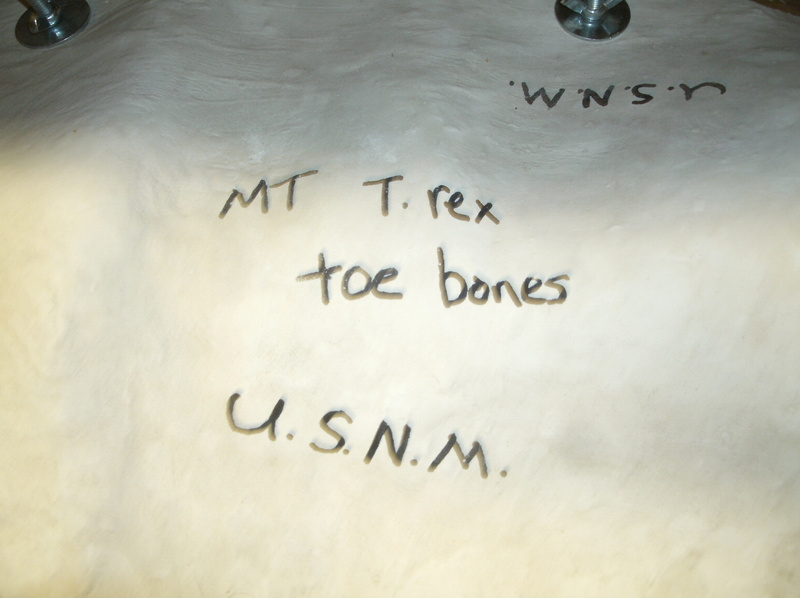 How does it feel to lean against a shelf in the Smithsonian basement and suddenly notice what it contains: (Montana, Tyrannosaurus rex toe bones, United States National Museum). Very cool! 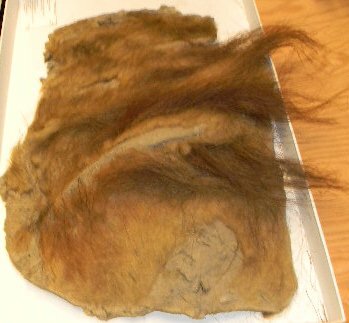 One drawer behind the Smithsonian scenes contains this remarkable piece of mammoth skin and fur. 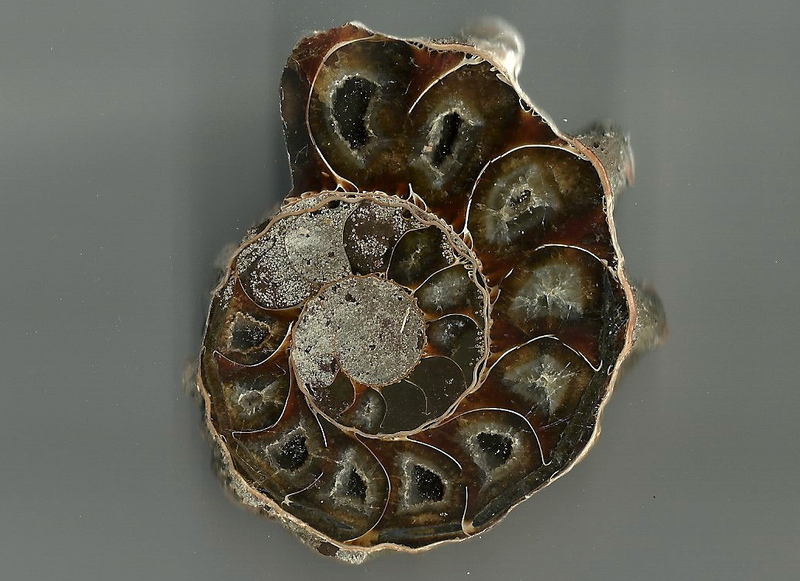 Thawed out from a glacier that held it for many millennia, this specimen allowed Dickinson students and professors to touch an organic piece of evolutionary history. 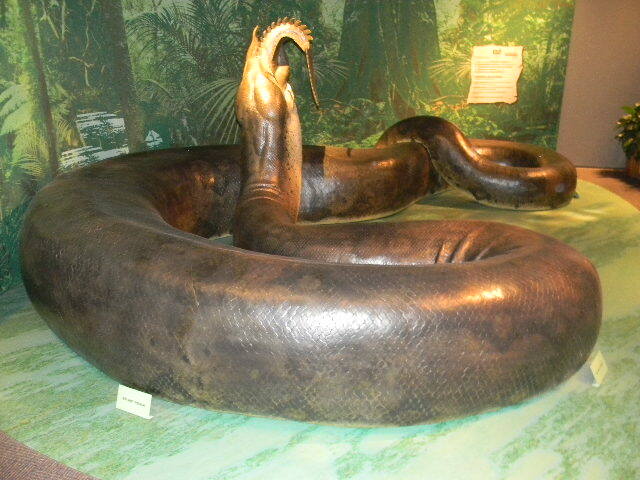 Titanoboa, the largest (prehistoric) snake ever discovered, was 50 feet long and weighed more than a ton when he roamed the jungles of South America more than 50 million years ago. His vertebrae dwarf those of any living snake, and he could gobble up full-sized crocodilians without ill effects. 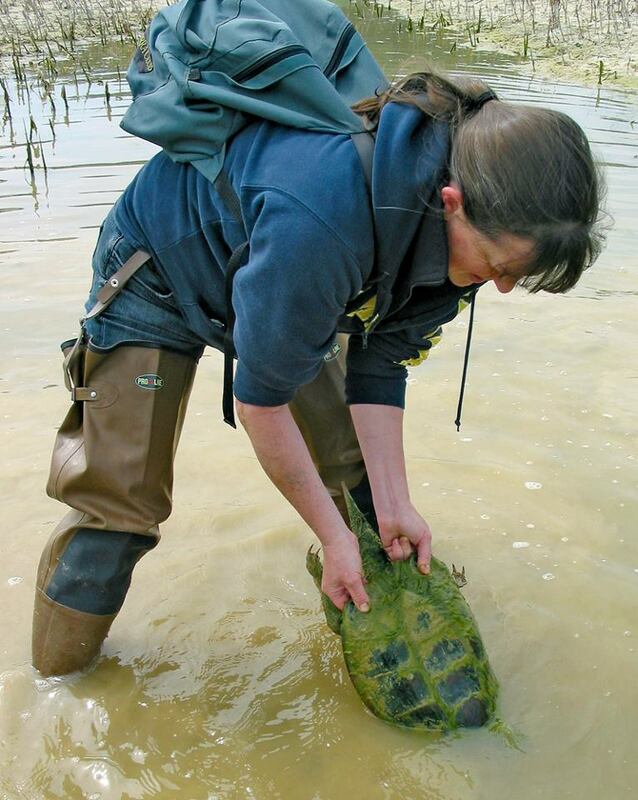 He was discovered in a fantastic fossil-site full of turtles–as big as a living-room rug–and post-dinosaur lizards much larger than any alive today. 11 Th Charles Fergus, Wildlife of Pennsylvania. Pick a single CAPITALIZED SECTION from this book [ex. 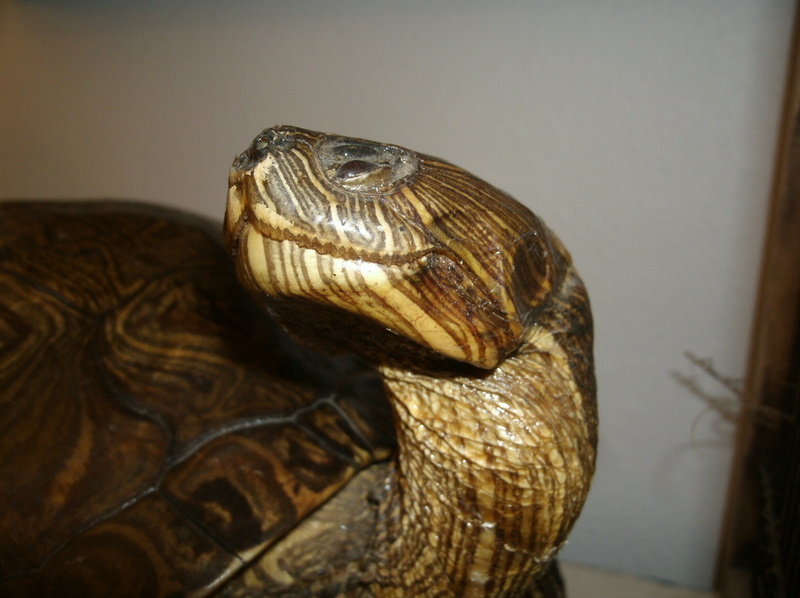 COYOTE, ELK, PUDDLE DUCKS, WILD TURKEY, LAND SALAMANDERS, POND AND MARSH TURTLES, WATER SNAKE]). At the start of class hand in a single double-spaced page about why this entry in Fergus’s book is well-written, using examples of language as details; then be prepared with notes to tell the class why your entry is well-written. 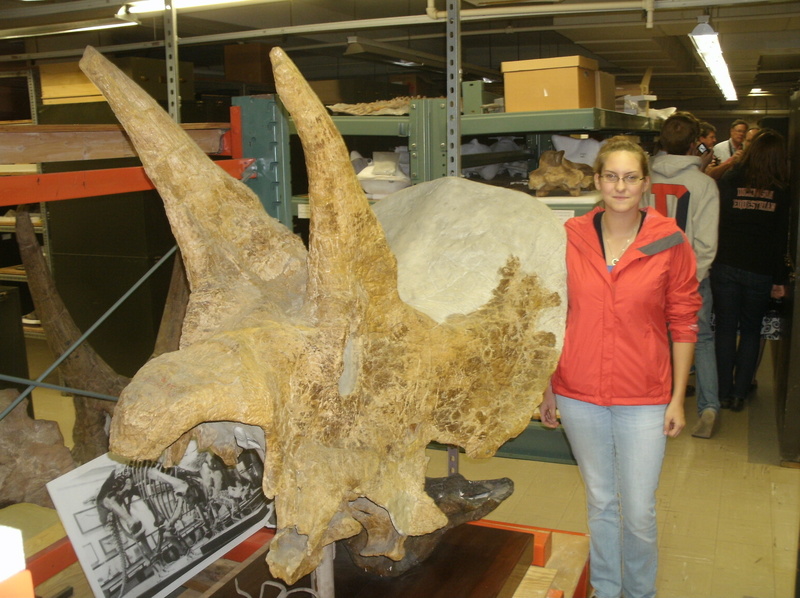 A Triceratops skull towers in the unbelievable basement of the Smithsonian. Trilobites were one of the most widespread and successful creatures ever to live on earth. They roamed the seas for over two hundred million years, finally disappearing as part of a mass extinction as the Permian era ended. Today, they remain only as fossil specimens in museums, private collections, and numerous geological sites around the world. 25 Th Your field journal as a text. Bring you best paragraph, typed with copies for 12. 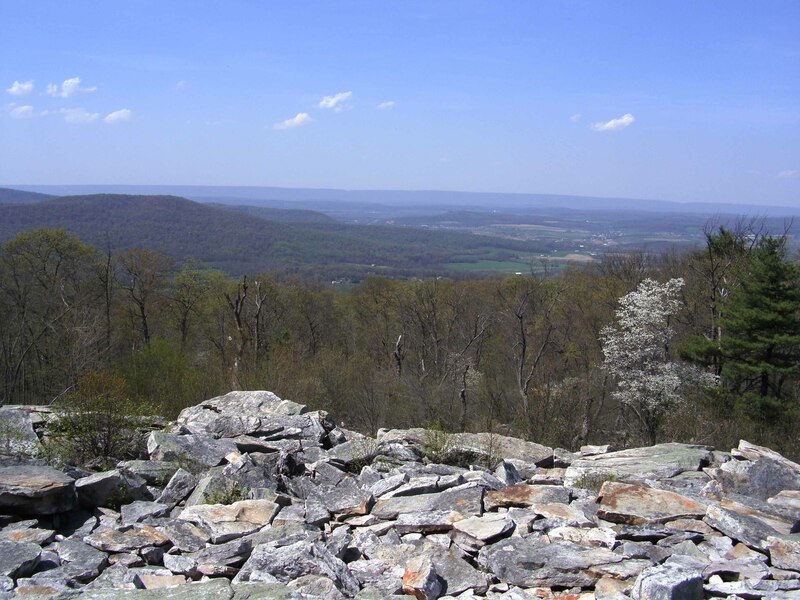 The Waggoner’s Gap rock-pile, one of the premier hawk watching sites on Pennsylvania’s spine of the Appalachian Mountains. No experience equals the sight of a peregrine falcon or a golden eagle coming in low along the ridge, racing south on the winds of autumn. The Joseph Priestley House in Northumberland, PA, just up the Susquehanna River from Dickinson College. 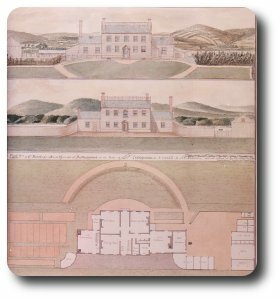 This drawing–the Lambourne Plan (1800)–was only rediscovered in 1983 in the Royal Society Archives in London; the house remains substantially the same today. 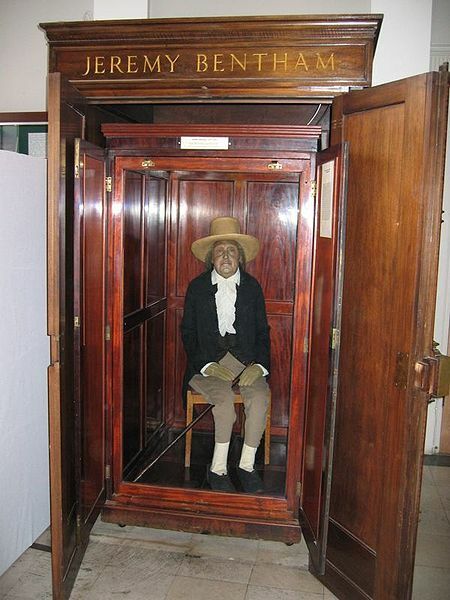 It contains the laboratory in which Priestley identified carbon monoxide and the room that once housed his library of over 1,500 volumes, one of the largest in America at the time. 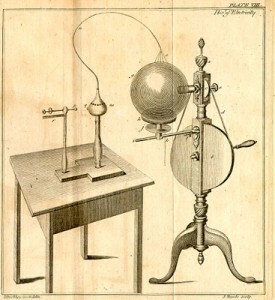 Priestley’s apparatus, some of which is now on display in the Archives of Dickinson College. 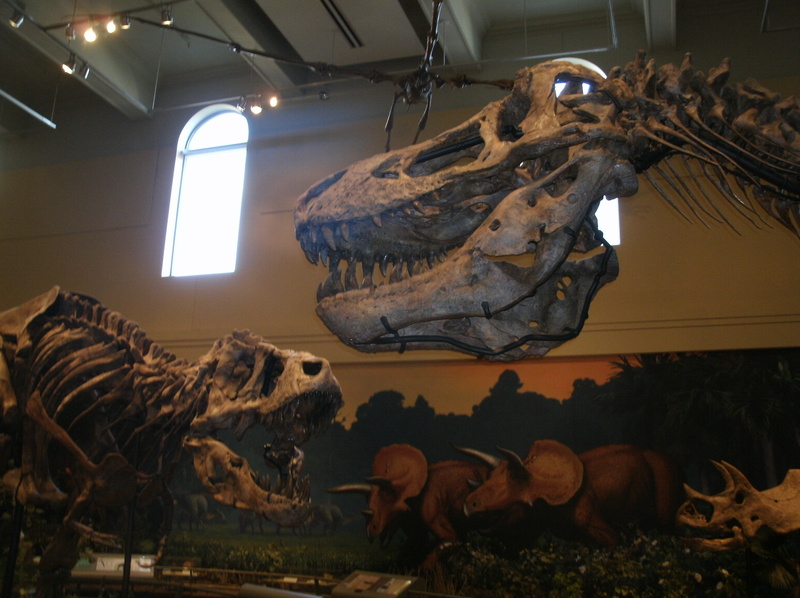 The Carnegie Museum not only has T. rex skeletons; it has THE T. rex skeleton: the holotype, the skeleton example from which Tyrannosaurus rex (“tyrant lizard king”) was named back in 1905. We were lucky enough to be able to touch the serrated teeth and jaw of that remarkable fossil. 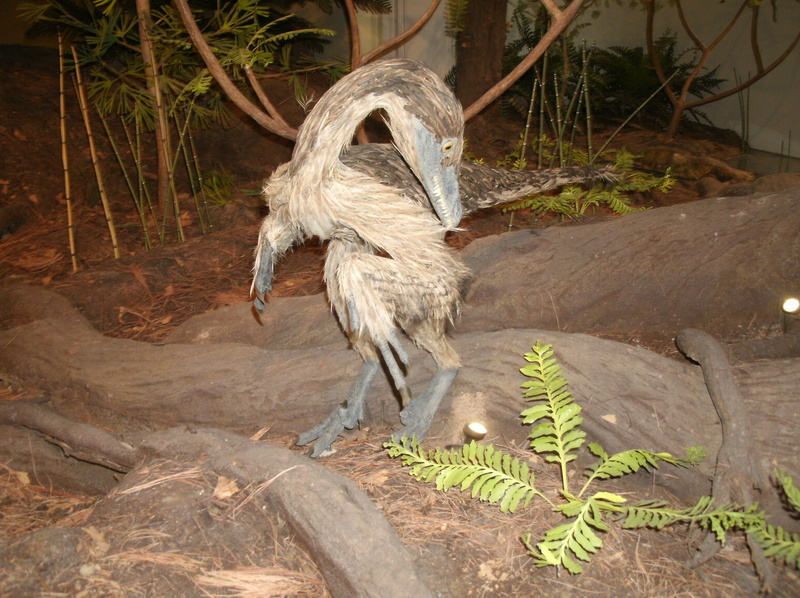 Living birds are not related to dinosaurs; they ARE dinosaurs. The DNA record and other morphological evidence about the origin of feathers, warm-bloodedness, and other characteristics (look at any bird’s claws, its skin, and its skeleton) prove this beyond debate. 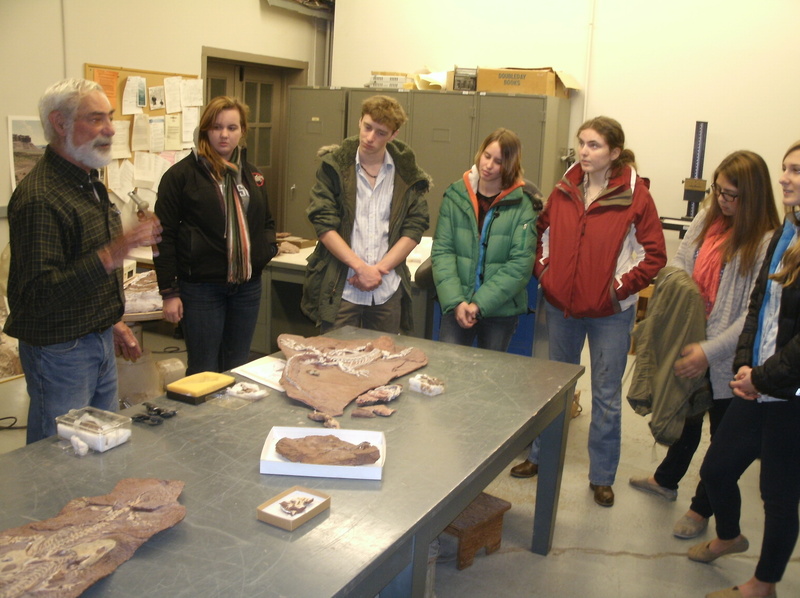 Dr. Dave Berman, the Carnegie Museum’s Permian tetrapod expert, shows us the oldest bipedal creature on earth, a specimen (white box) he and his colleagues discovered at a quarry in Germany. 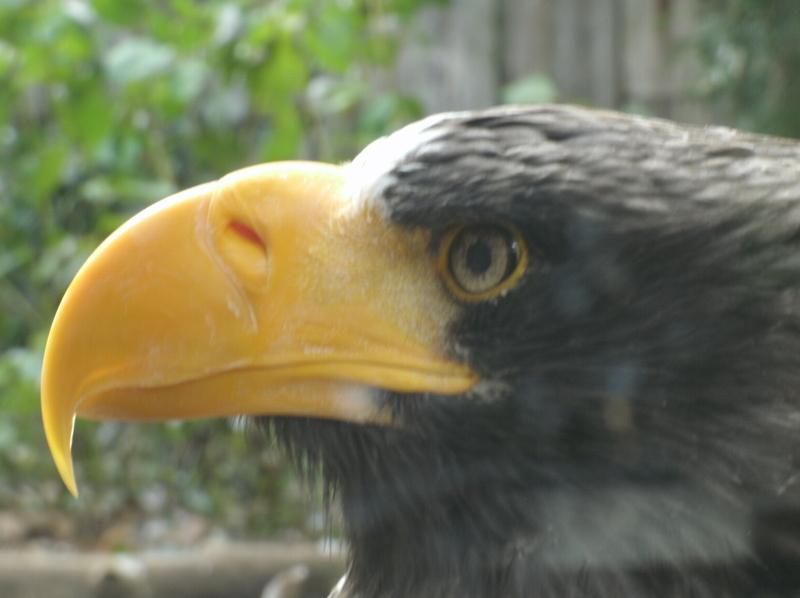 Steller’s sea-eagle, the largest eagle in the world, as close up as the class was able to see him at the National Aviary in Pittsburgh. 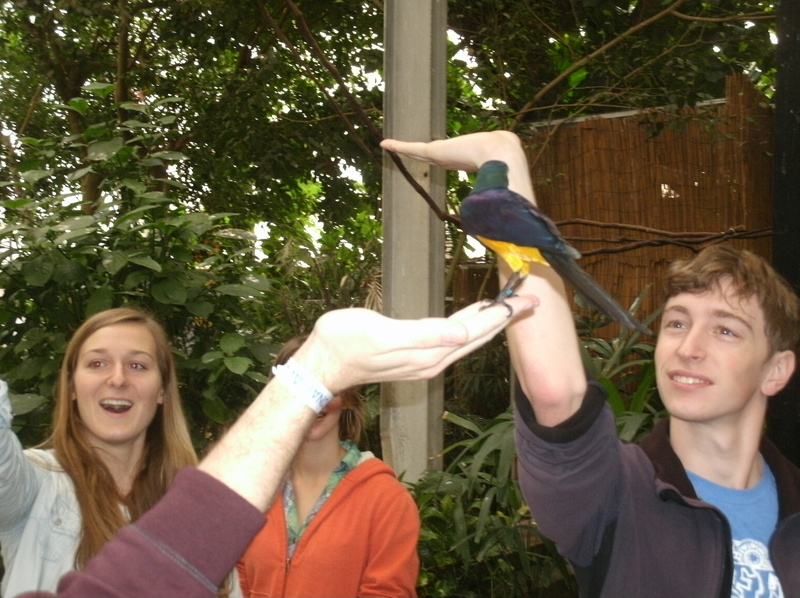 Feeding time in the rain forest at the aviary; a little worm on the extended palm is all it takes. 8 Th NO CLASS Critique with a classmate or visit the Writing Center. 13 T Aldo Leopold, Sand County Almanac. xiii-xix, pp. 3-137. Link to your own experiences this term. In-class writing. The ur-text, the foundational document, of all modern American nature writing. 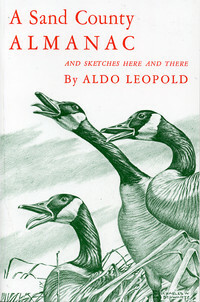 15 Th Aldo Leopold, pp. 138 to end. Link to what you have learned this term. Discuss. December 13 Th FINAL EXAM (2nd Revision) Kaufman 192 by 5:00 p.m. 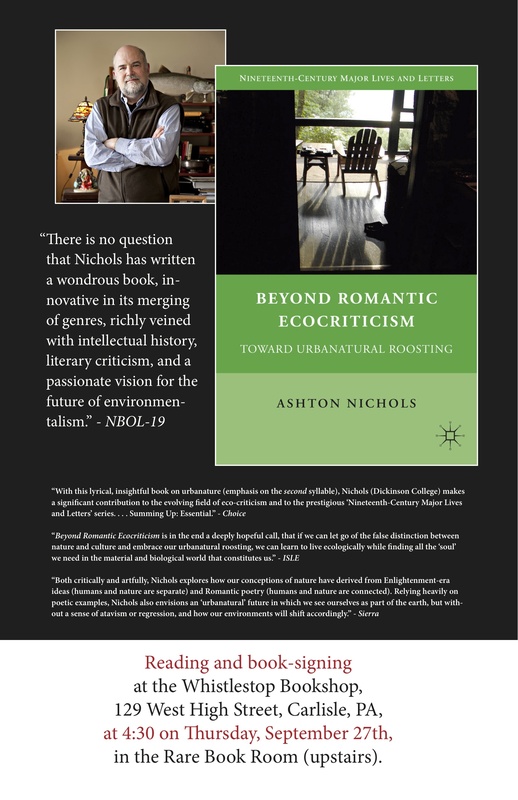 Professor Ashton Nichols Kaufman 192, East College 305. What about “animals” that are tens of millions–or hundreds of millions–of years old? 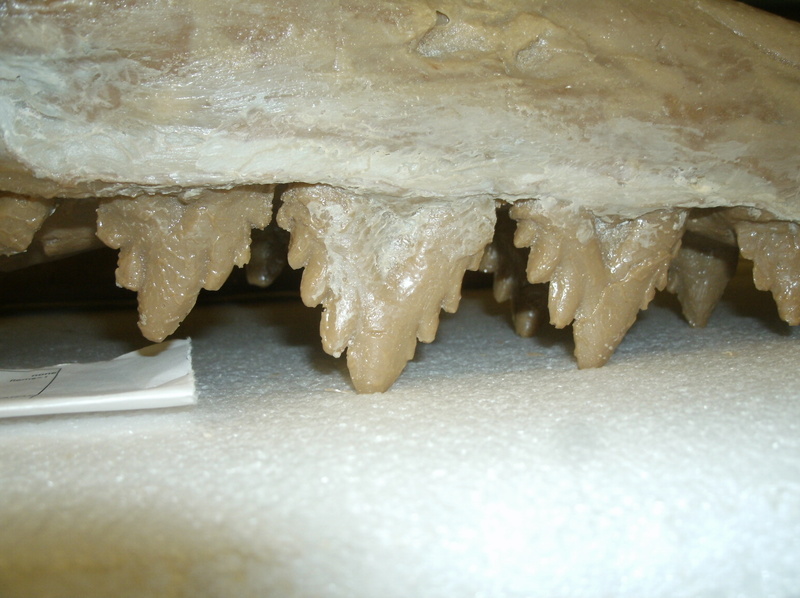 Visible evolution: a Smithsonian display presents the remarkable alteration of a toothed-whale’s teeth into baleen, the filter feeding devices now used by today’s baleen whales. 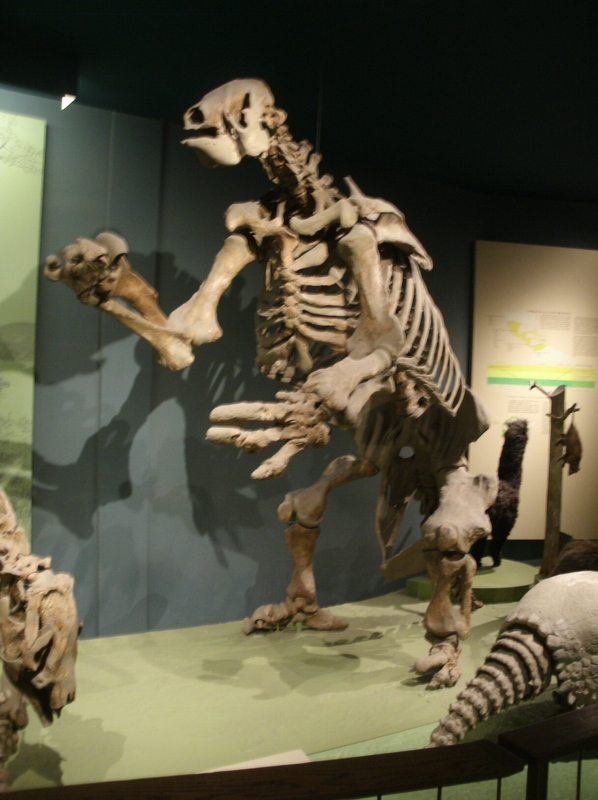 A giant ground sloth, of the kind that roamed North and South America during the Pleistocene, over 10,000 years ago, still standing his ground in a display at the Smithsonian. 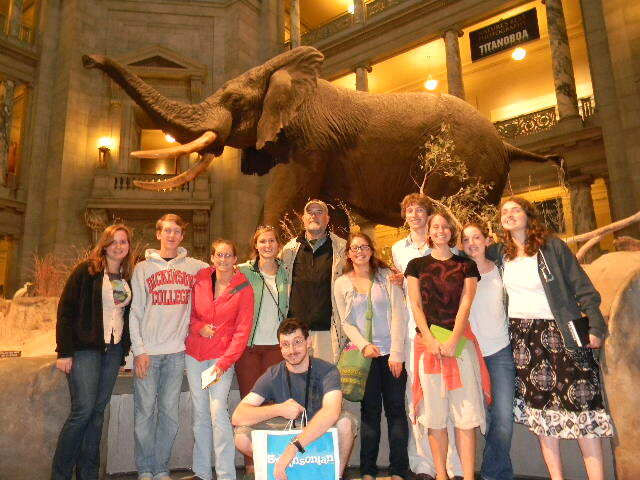 The class gathers around the Smithsonian’s iconic bull elephant; at 8 tons and 14 feet tall, it is an astonishingly large example of an African elephant. He has stood in this lobby since 1959. Does “wilderness” become a different space once human beings arrive there? Can there be any true wilderness left once the earth has been completely mapped, and charted, and photographed, and Googled? 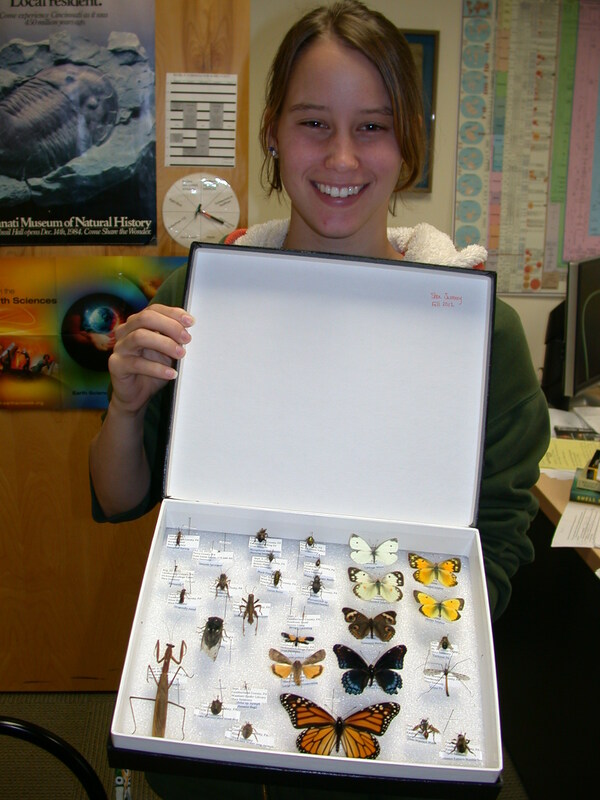 A happy entomologist shows off her careful (and sustainable) collection. 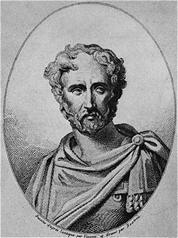 The first natural historian, Pliny the Elder. Pliny died while on an excursion to gain a close-up view of the great eruption of Vesuvius in August of 79 AD. 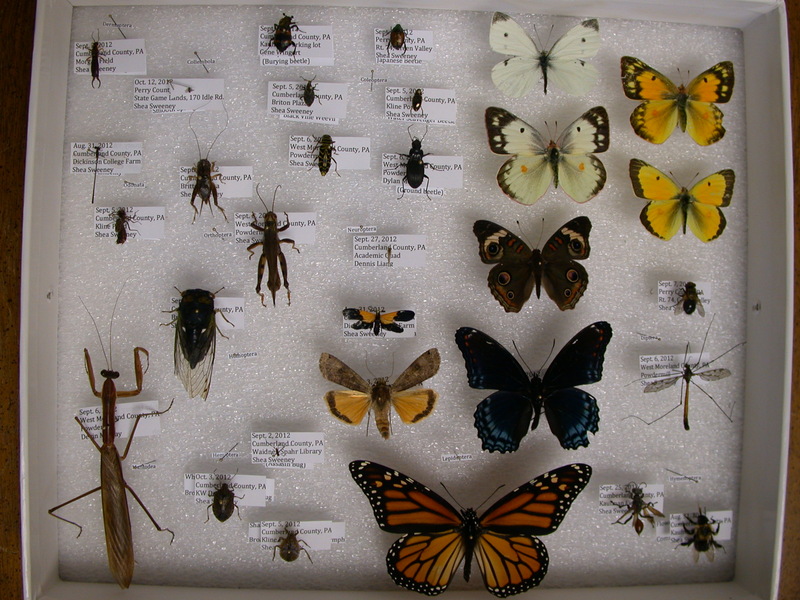 A bug-box collected under environmentally sustainable conditions. 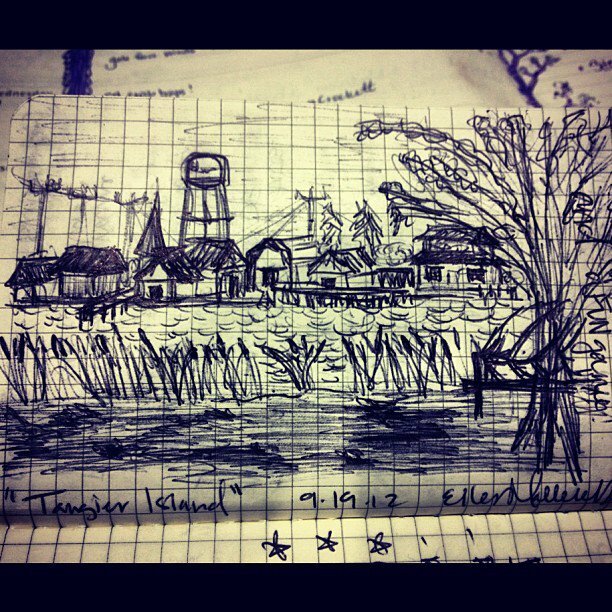 Eller’s sketch of Tangier Island, Virginia, drawn from Port Isobel, the tiny uninhabited island where we stayed while studying the Chesapeake Bay. Tangier was named by Captain John Smith in 1608 for its resemblance to the coast of North Africa.